On a week night, as you're sitting watching TV, write your menu list for the following month. I do this with my diary in front of me (so I know what nights we'll be out) and with my iPad for cheap meal ideas. You can even engage the kids by asking them for ideas of what they might like to eat (and cook!). Then write a shopping list and you'll find that your shopping time is cut by half. 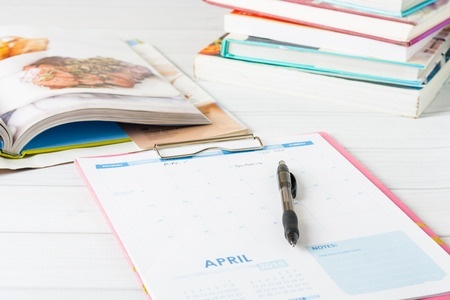 If a month of planning seems too much, start with two weeks or even one.